Hi friends! I hope you're having a great day! We are having a fun week here! I'll do a post about Brady's school later with picture. Seriously, I only got one good picture. Can I do them again on the second day of school? LOL! I'm up this week for the Ribbon Carousel Challenge and the team is ANYTHING GOES! How easy peasy is that? There's NO excuse to skip the challenge this week! All you have to do is use ribbon, twine, lace, trim, or pretty much anything that comes on a spool. 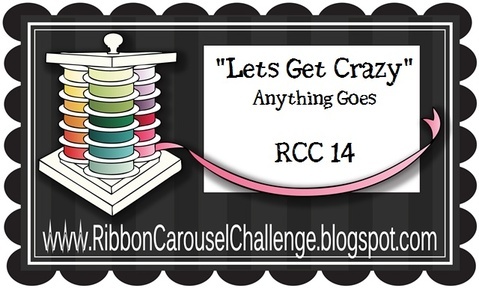 Check out the Ribbon Carousel Challenge Blog for more details. We have an AWESOME sponsor this week! EAD Designs! They make the most amazing rub-ons and Stickerz! Their designs are super cute and everything is very easy to use. The customer service is stellar and shipping is fast! They are offering up a gift certificate to one lucky winner! Here's my card for this challenge. I used EAD Feathered Friends for the main image and EAD Jenn's Favorite Sentiments for the sentiment. I used some Orange Divine Twine from Ribbon Carousel for my spool element. The paper used here is Echo Park Splash. Be sure to check out the Ribbon Carousel Blog to see all the other design team members's awesome creations and to link up your own ANYTHING GOES creation!! 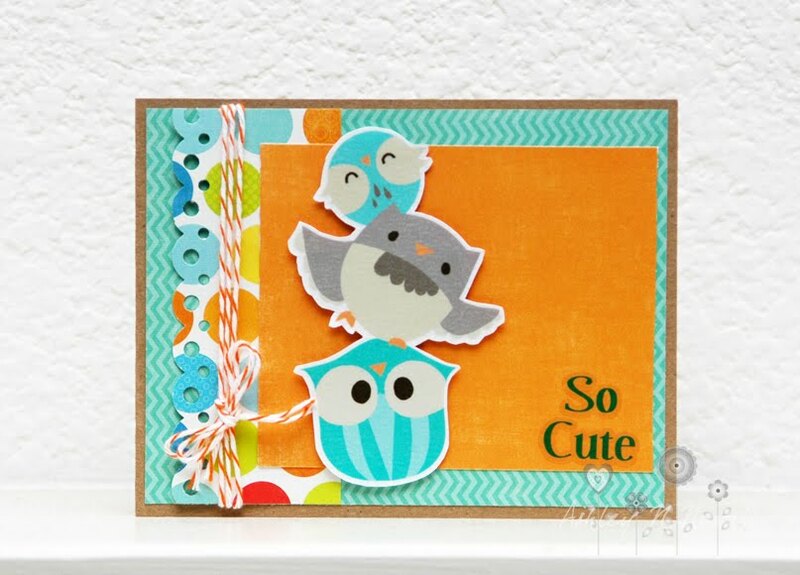 Absolutely adorable, love the owls! 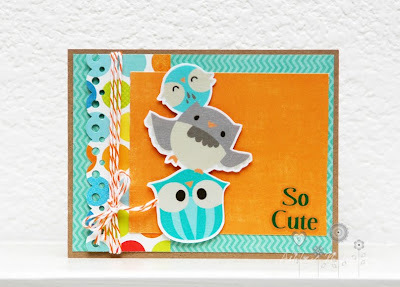 Oh my goodness, this is one of my favorite cards you've ever made! It is perfect! LOVE!! I thought I already left a comment on this card--because I LOOOOOOOOOVE it! I love the colors and the twine--BEAUTIFUL! And those stickers--FUN FUN FUN! This is TOO TOO CUTE!! Love it! !